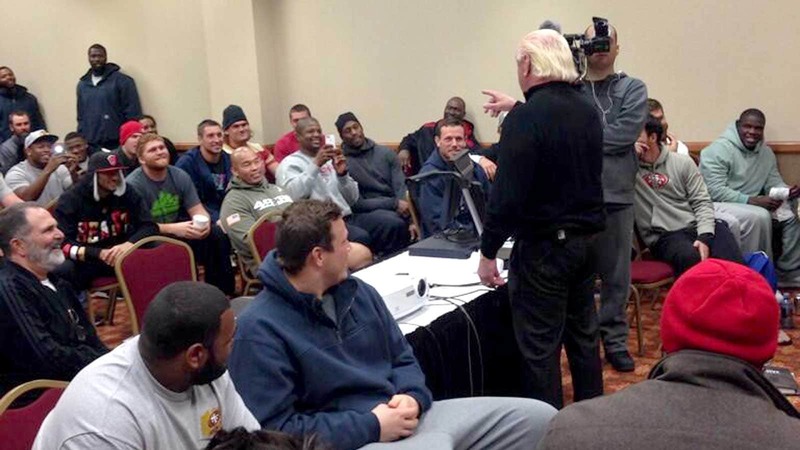 The San Francisco 49ers got a surprise visit from wrestling legend Ric Flair at their team hotel in Appleton, Wis., the night before they take on the Green Bay Packers at frozen Lambeau Field. And while seeing Ric Flair was a hit with the players, it appears tackle Anthony Davis isn’t impressed with the Greater Green Bay area. Apparently the cold weather has Davis in a frisky mood. He followed up on his feelings about the Green Bay area after people on Twitter saw what he had to say. “@stark_steve: @AnthonyDavis76 I lived in GB 4 18 months. Worst 18 mos. of my life #truth” Sorry to hear that Steve. But, yea, that line from Davis is all that anyone in Green Bay will care about.